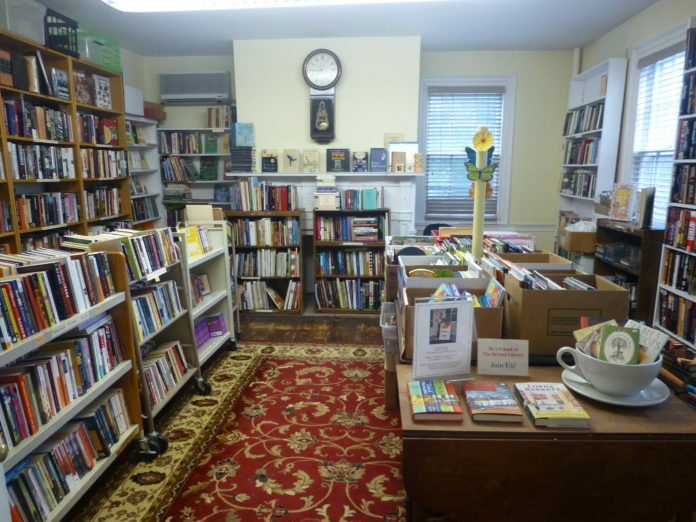 A Roslyn resident who is moving off the island donated about 70 books, which include first editions and autographed copies, to the Roberta Balfus Book Store at the Bryant Library. Among the signed copies are books by LL Cool J, Ken Burns and President Donald Trump. Store manager Vivian Swift has been going through the books and researching them to determine their values. The two highest valued books that were donated are first edition, autographed books by Chaim Gross. They each include a little image that Gross drew in the books and are worth about $100 and $150, Swift said. Many of the first editions are art books. One Swift found surprising was an “odd little book from Slovenia,” she said. It’s about Slovenian impressionists, was printed in Yugoslavia and is a first edition worth about $25. Friends of the Bryant Library operates Roberta Balfus Book Store and receives all funds from sales. The donor chose to be anonymous, Swift said. Many book collectors don’t want to go through the effort of selling books, especially if they’re not worth much, she said. Swift was previously the vice president at Christie’s auction house. She has contacted someone at their rare books department to consult about the worth of some of the books that were donated, and even the most valuable are not worth enough for a place like Christie’s to invest in. But a big donation like this is rare for the book store, so Swift has taken the time to bring the books home, clean them and value them before putting them on sale Dec. 1. The book signed by the president is “Why We Want You to Be Rich: Two Men, One Message,” which Trump co-wrote with Robert Kiyosaki. Trump’s signature is in thick, black marker on the cover, Swift said. She plans to offer it for $25.